What's the Lydian #5 scale? The Lydian #5 also known as Lydian augmented scale is the third mode of the melodic minor scale. The formula is 1 - 2 - 3 - #4 - #5 - 6 - 7. It contains an augmented fourth (#11) and an augmented fifth (#5). 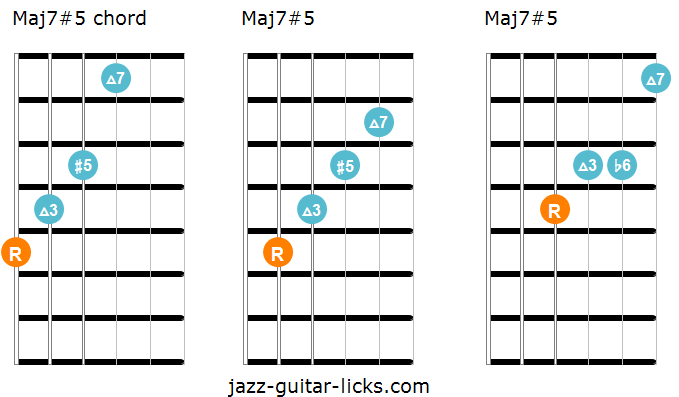 It can be used over maj7#5, maj7#5#11, maj13#5 chords or any other maj7 voicings for a modern sound. Before learning the Lydian #5 mode, it is preferable to master the Lydian mode, which is the fourth mode of the major scale. So, you will understand that the Lydian #5 mode is built the same way as the Lydian scale, but with a raised fifth (#5) instead of a natural 5. The Lydian mode, fourth mode of the major scale. 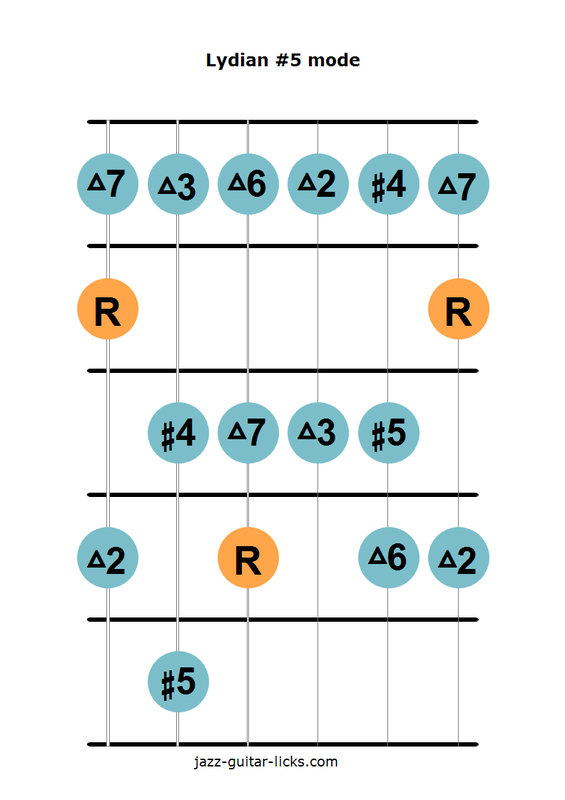 All of these three scales have an augmented fourth (#4),what makes the most striking feature of the Lydian scale family. They are designed to be played over major chords except the Lydian dominant which can be used on dominant chords. When you take a look the modes of the harmonic major scale, you see that there is a mode (the sixth) named Lydian augmented #2 scale. This mode contains an augmented second (#2) whereas the Lydian augmented scale (from the melodic minor scale) has a natural 2. This is the only difference between these two modes, so it is important not to confuse them. 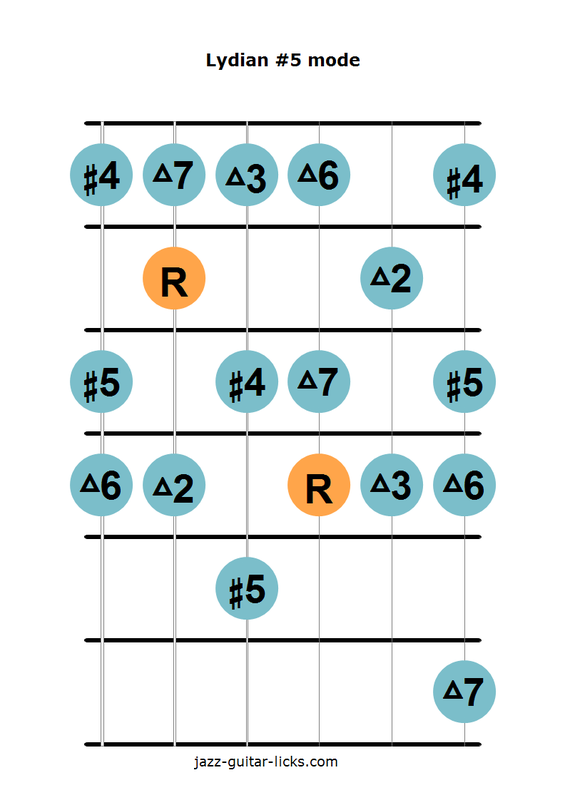 By stacking the root (1) , major third (3) and augmented fifth (#5) of Eb Lydian #5, you obtain an Eb augmented triad. Now, to get an Ebmaj7#5 chord you just have to add the major seventh (7), thus giving Eb, G, B and D.